Good Morning Beauties and Beaus! 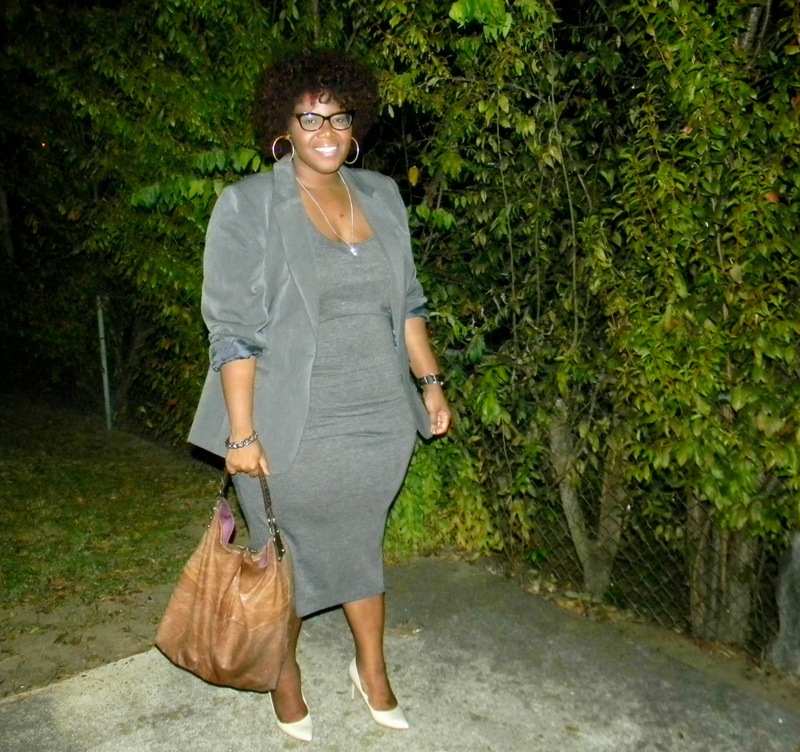 When it comes to the color Gray or Grey, I find it to be one of my favorite colors. It’s another wonderful, neutral color that changes with the material of the clothing. 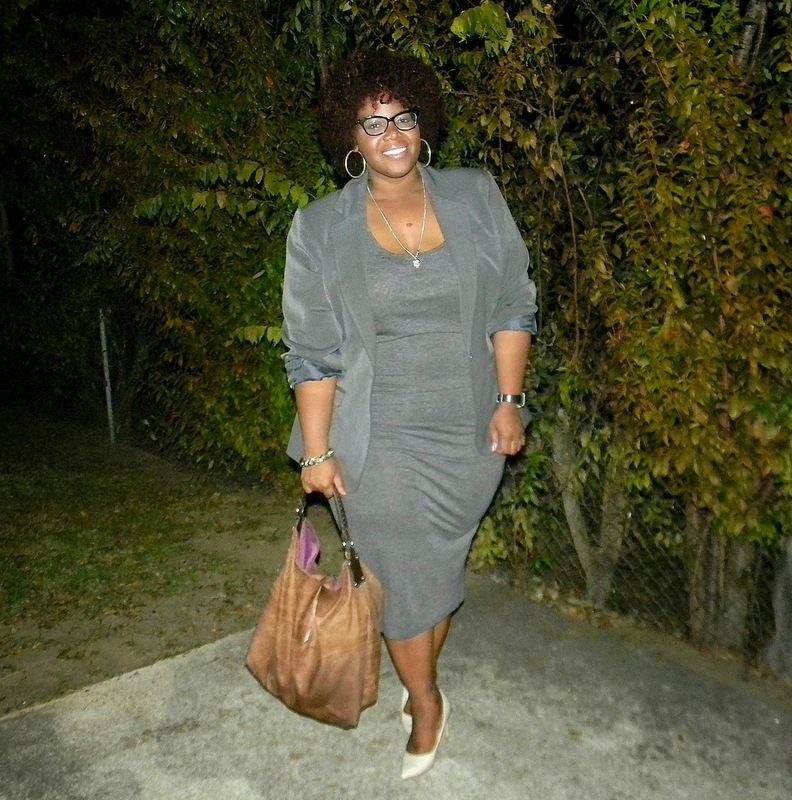 It's powerful with a structure suit or feminine with a chiffon dress, which is what I love the most about Grey or Gray. 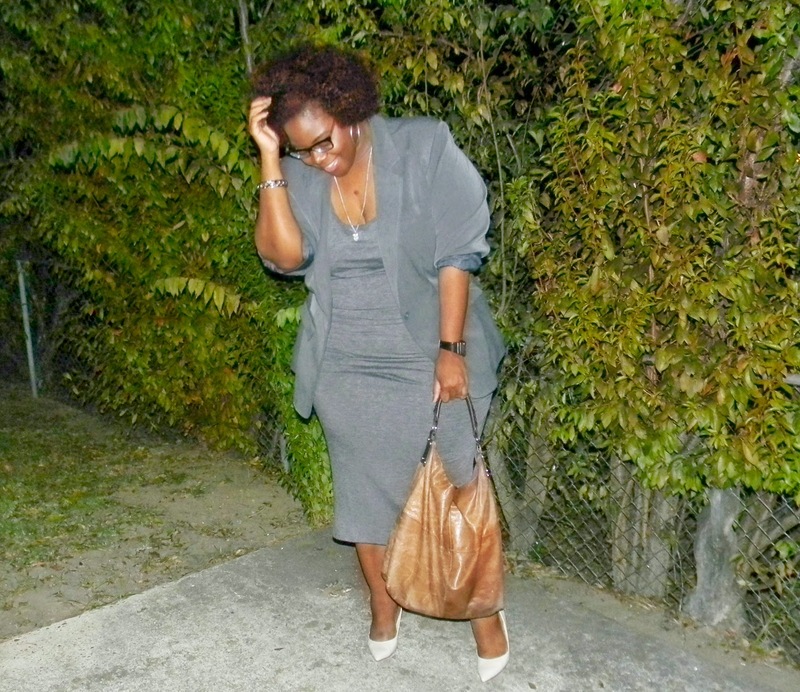 And this month’s post happens to be about bringing the shades of Grey or Gray to life. For my look, I decided to take the minimalist approach to this trend. 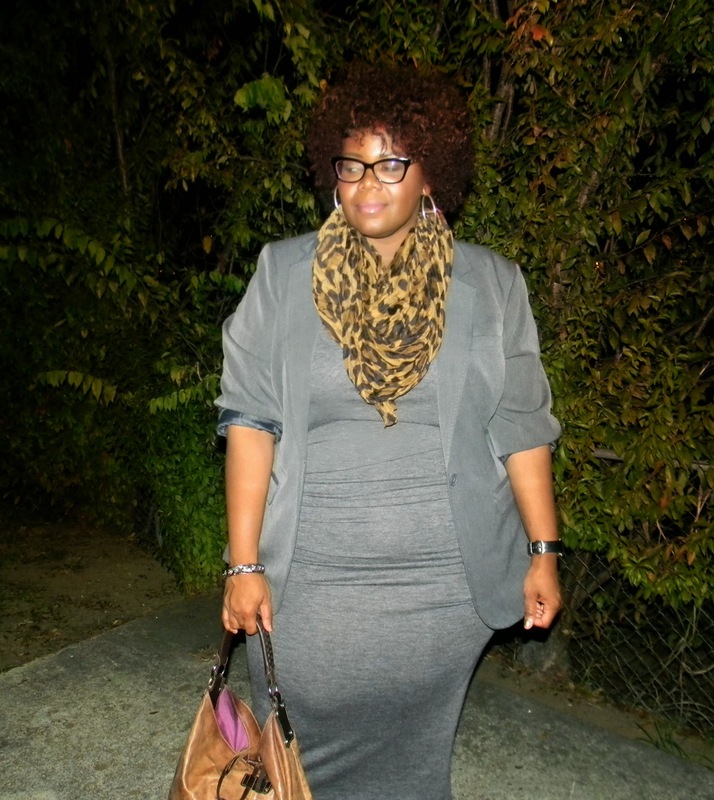 A simple tank dress from Old Navy, now sold out. 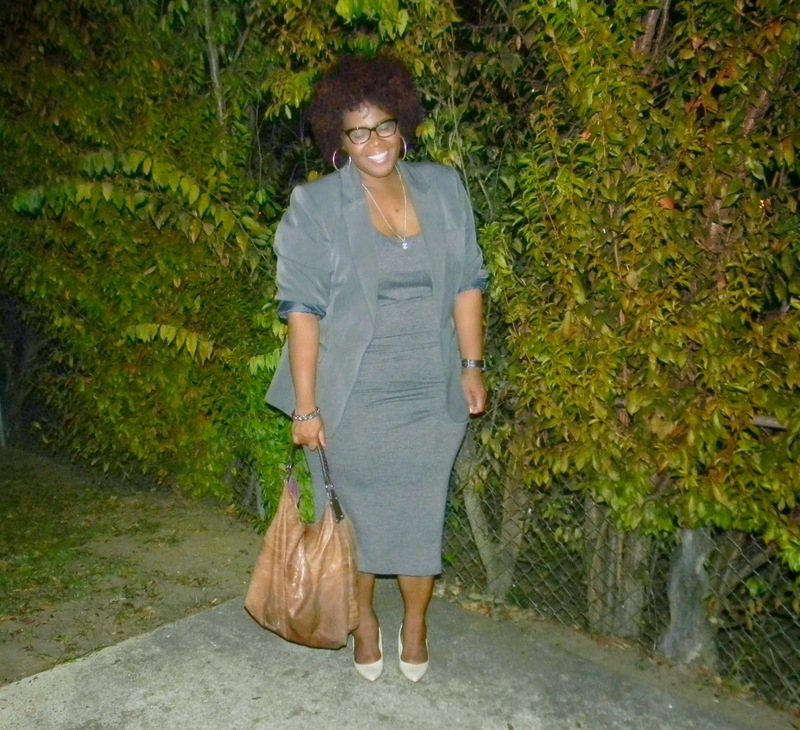 And my favorite boyfriend blazer from Ashley Stewart, that is about 4 years old. I honestly had no clue they would be so perfect together, I was thinking one was darker and my minimalist approach would roll into some other style type instead and then I would have to pull it together with some accessories and the "minimalist" look would disappear. Good thing that didn't happen. This was perfect, if I say so myself. Now you have to ask yourself, what would make this better? LEOPARD OF COURSE!!!! New Frames! New Hair Color! New Outlook! Look Out 2015!! I had to add something to take it over the top and nothing does that better than “Leopard”. 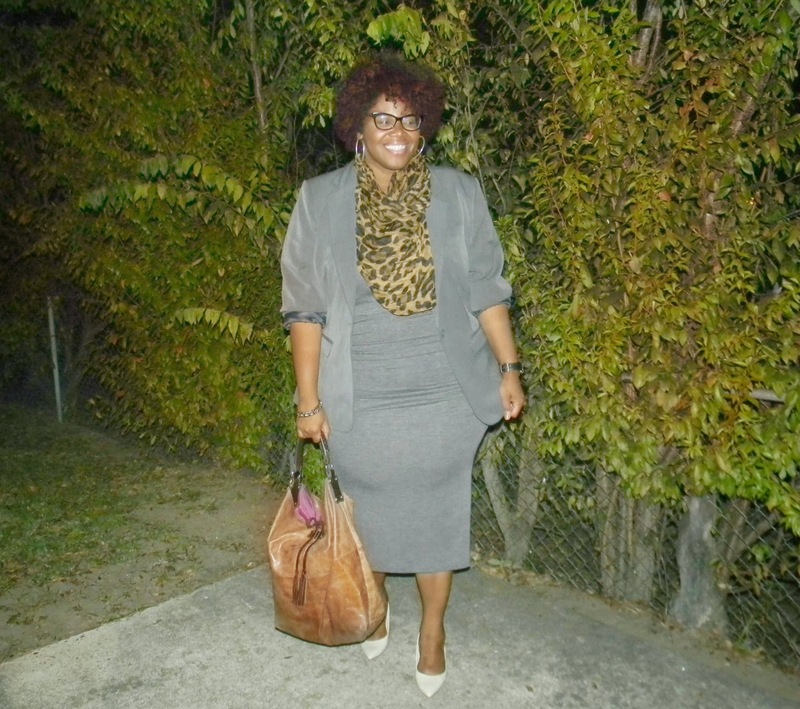 At first, my mind couldn't process the combination of leopard and gray, but once I changed my shoes and handbag it all pulled together in such a lovely lovely way. Leopard is Truly a Neutral. 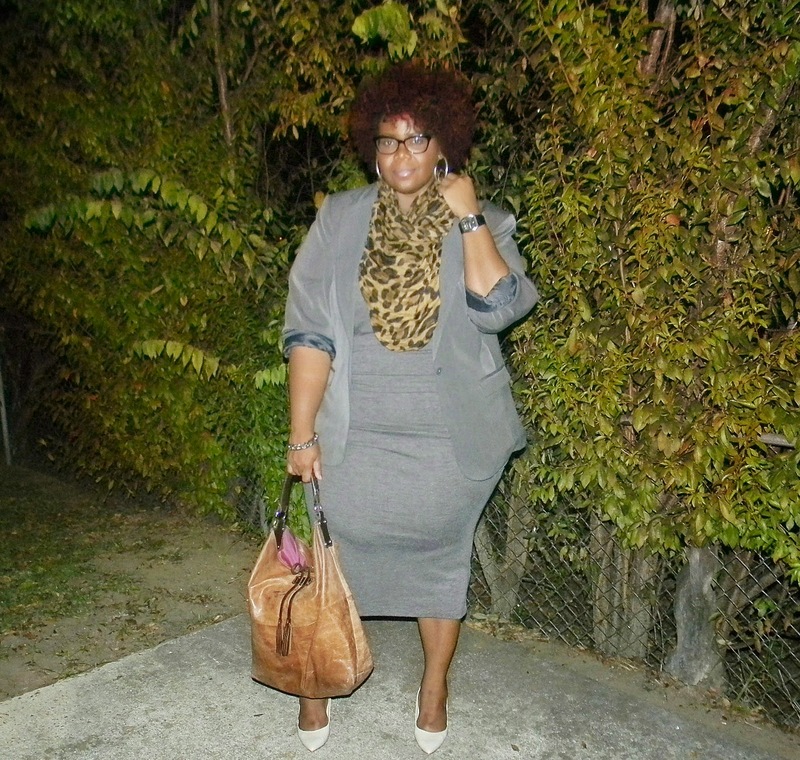 Great Grey look and the leopard made you shine! You are too cute ! You just shine with your smile and the outfit from head to toe. 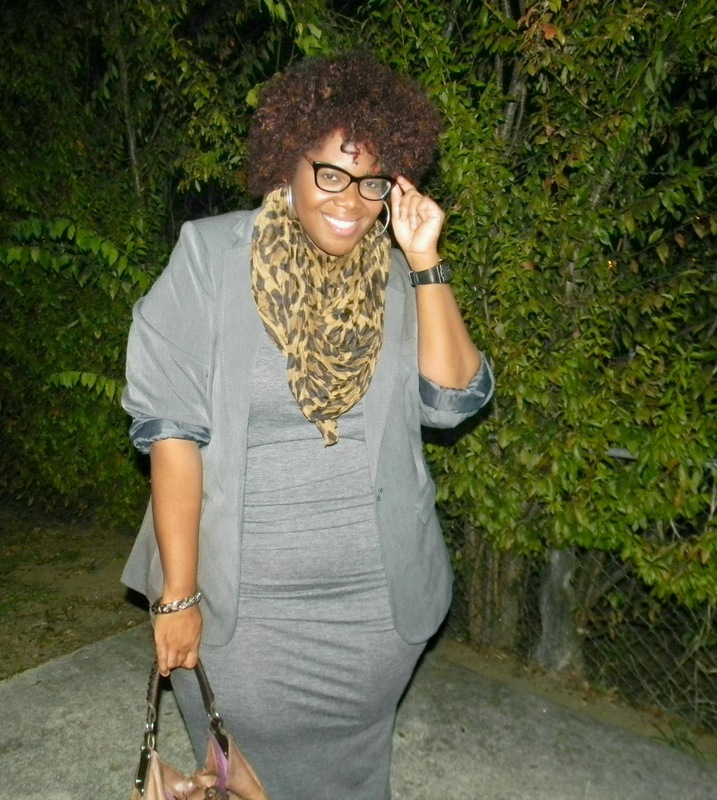 love the gray with the leopard and your hair is poppin lady!